From the Advanced tab, click LAN. 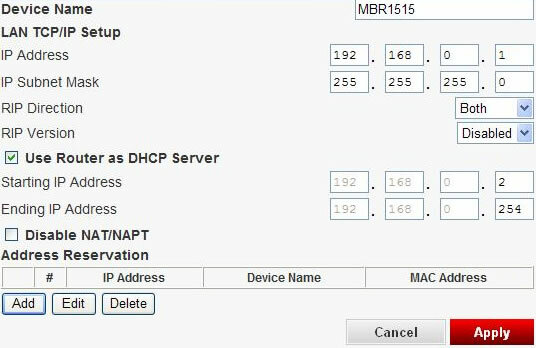 Ensure the Use Router as DHCP Server box is checked, enter the starting and ending IP Addresses and adjust as desired then click Apply (bottom of screen). Click Add (under the Address Reservation table). 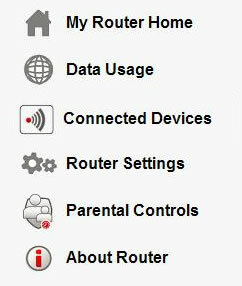 Select the device (from the table) and enter the IP Address and/or Device Name then click Add. If the device is not listed, enter the IP address, MAC address and device name then click Add. Select the device (from the table) then click Edit. Edit as desired then click Apply. To delete an assigned address, select the device (from the table) then click Delete.